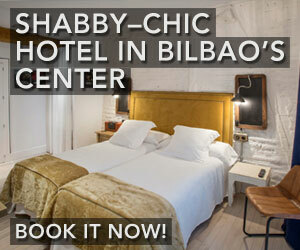 CLICK HERE TO SEE MORE OF THE BEST HOTELS IN THE BASQUE COUNTRY! The Basque Country has long been an unexplored region in northern Spain and southern France. But that’s all changing these days since it’s starting to show up on travel itineraries – and rightfully so. As one of Europe’s oldest and most culturally rich regions, it has a lot to offer visitors. From modern cities, quaint villages and green landscapes to world class cuisine and Spain’s best wine region – the Basque Country has something for everyone. The name Euskal Herria is how the natives of the Basque Country refer to their land. It simply means, “land of the Basque speakers.” And Basque has been spoken by the feisty inhabitants well before the Romans ever arrived. Their full history as well as the origins of their language have long been shrouded in mystery. However, their identity is very evident. This can be seen in the plethora of Basque music, dance, sports, festivals and food – all of which are celebrated with great fervor by the Basques. Even with this strong identity, a new image of the Basque Country is emerging. Bilbao, which is now a mecca for design and architecture was, until some decades ago, a city full of decaying industrial complexes. The city underwent a transformation and some of the finest architects in the world were invited to leave their mark. The Guggenheim Museum designed by Frank Gehry is the most well known example and it’s now the number one tourist destination in the entire Basque region. San Sebastian is also redefining the Basque image around the world with its extraordinary cuisine. The city has two restaurants ranked in the list of the World’s 50 Best Restaurants and in addition, has 16 Michelin stars spread across 9 restaurants. It is also one of the best places to eat pintxos – culinary creations in miniature form, similar to Spanish tapas but better. San Sebastian isn’t the only place to eat amazing food. Located just 20 minutes up the coast, the beautiful town of Hondarribia is quickly becoming a hotspot for foodies. And once you’ve eaten all that tasty food then a trip to Spain’s best wine region – la Rioja – is not far off. There’s still so much more to be discovered in the Basque Country. The region is packed with quaint villages like those found in the French Basque Country and numerous fishing communities found along the coast. There are beautiful beach resorts such as Biarritz and some of the best surf spots in the world. Have a look through our travel guide and website – because there is just far too much to mention here. The Basque Country is a diverse land with lots to do and experience. We have put together a list of top picks to give you an introduction to the region’s “must sees” and to help guide you in the planning of your travel itinerary. Bilbao is the beating heart of the Basque Country as well as the region’s largest and most cosmopolitan city. Bilbao’s main draw for visitors is, without a doubt, the Guggenheim Museum. This impressive building designed by the architect Frank Gehry, is considered to be one of the most important structures of contemporary architecture. The construction of the Guggenheim marked an important turning point in the history of Bilbao. Over the past several decades, the city has undergone a huge transformation. The old decaying industrial complexes along the river have been ripped up and a new modern Bilbao has emerged. Countless world class architects have since left their mark on the city. Today, in addition to the Guggenheim Museum, there is a timeless Metro system designed by Sir Norman Foster, an airport and a bridge from Spanish architect Santiago Calatrava and a community center (Alhondiga) designed by Philippe Starck. The list goes on and on. Much like the rest of the Basque Country, Bilbao is constantly evolving. While the city is embracing the future, it is also conserving its past and there is plenty of old Bilbao to be discovered. Whatever you are looking for, whether it’s savory Basque cuisine, Basque culture, shopping, nightlife, etc., you will find it in Bilbao. San Sebastián, or Donostia as it is called in Basque, is a majestic city with beautiful beaches and an impressive culinary scene. The city was first made famous during the Belle Époque era and is where Queen Maria Cristina established her royal summerhouse. Since then, San Sebastián has attracted wealthy beach-goers in search of sun and sophistication. And it’s no wonder why. The city’s main beach, called La Concha, is for sure the most beautiful urban beach in Europe. Luxurious beachside mansions run along La Concha, as well as the famous spa called La Perla (The Pearl) and its boardwalk is lined by an ornate white railing that has become a symbol of the city. If that already weren’t enough, there are two additional beaches in San Sebastian, one of which is also very popular with surfers. In more recent years, San Sebastián has gained significant press for its cuisine. The city alone has 16 Michelin stars spread across 9 restaurants and famously boasts more stars per capita than anywhere else in the world other than Tokyo. Restaurants Mugaritz and Arzak have been ranked numbers 9 and 31 in the world (2018 World’s 50 Best Restaurants). It is in many ways like a mini Paris, except in Basque style. San Sebastián is also famous for its pintxos (similar to tapas). And the best place to go to try some of them is the Parte Vieja (Old Part). This charming old city center is famous for having the highest concentration of bars in the world. This is where the pintxo is king and the food is taken very seriously. Gernika is known throughout the world due to the painting by Pablo Picasso that bears the same name (although spelled the Spanish way, “Guernica”). It was this town that was bombed in 1937, the events of which inspired Picasso’s most famous piece of art. The bombing by German and Italian air forces took many lives and left the town utterly destroyed. The destruction of Gernika was ordered by Francisco Franco in an attempt to overthrow the Republican government during the Spanish Civil War. One of the reasons Gernika was chosen for the bombing is due to its importance both politically and historically. The Gernika Tree can be found here and it’s where, underneath its branches, Basques were granted autonomy in the Middle Ages. Next to the tree is the Biscayan Assembly, a place where the political leaders have meet to decide the fate of their people over the ages. Both the assembly and the tree offer insights into the history of the Basque people and can give a deeper understanding of more recent historical events such as the Basque independence movement. In addition, Gernika also has its own Basque museum, the Euskal Herria Museum as well as the Peace Museum. For those who are interested in Basque culture and politics, Gernika is a must. On a lighter note, the city is also host to the Monday Market, one of the most important markets of the Basque Country. The French Basque Country has numerous well manicured villages and towns with rustic charm. A majority of them are scattered throughout the interior among the green hills of the countryside and often only occupy a street or two. Saint Jean de Luz is one of the exceptions that is actually located on the coast and it is also rather unique since it combines traditional old Basque architecture found in the interior with stately mansions that have a French influence. This is due to the fact that in the 17th century the town transitioned from being one of France’s most important fishing ports to a center for Basque corsairs. These corsairs looted and plundered and brought back incredible wealth to Saint Jean de Luz, the evidence of which can still be seen. Today, Saint Jean de Luz is a sleepy beach town that is the perfect place for families or couples who are seeking to relax in the sun while experiencing the charm of a gone-by era. In the French Basque interior, the most beautiful village is Espelette. Its picture-perfect streets are lined with traditional Basque houses, many of which feature Espelette’s number one export, the Piment d’Espelette (“Espelette pepper”). These drying peppers proudly dangle from lines that are attached to the facades of the houses, creating the symbol of the entire village. It is a pleasure to stroll down its streets and take in the unique scenery while stopping once in a while at the stores and boutiques that sell not only the famous peppers but also many more local products such as chocolate and cheese. Deep in the French Basque Country’s hinterland lies another beautiful village, St. Jean Pied-de-Port. It’s unspoiled and surrounded by a green landscape making it a great place for those interested in hiking and those in search of solitude & relaxation. It is a walled village and has numerous gates. The most well known is the Porte St-Jacques which was made a Unesco World Heritage Site in 1998. St. Jean Pied-de-Port is also a popular starting point for many pilgrims traveling along the Camino de Santiago. The camino is also listed as a World Heritage by Unesco. The Basque coast is full of beaches and there are far too many to even mention here. However, whichever kind of beach you are looking for, whether it is a city beach, a wild isolated beach, or anything else in between, you will find it in the Basque Country. Laga & Laida Beaches - Located within the Biosphere Reserve of Urdaibai, these two beaches are two of the Basque Country’s most beautiful. Laida is quite special because it is located in the middle of an estuary and changes depending on the tide to reveal more or less of the sandbanks. Lekeitio - A small town with a few special beaches and crystal clear turquoise water. In the bay lies an island that can be reached via a sandbank during low tide. Hendaye - A 3km long sandy beach located on the French-Spanish border. 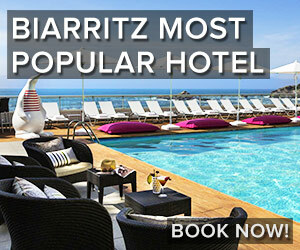 Biarritz - Posh beach resort that is popular among surfers. It’s the French Basque Country’s answer to San Sebastian. San Sebastian - The city’s main beach, La Concha Beach, is considered to be one of the most beautiful city beaches in the world. 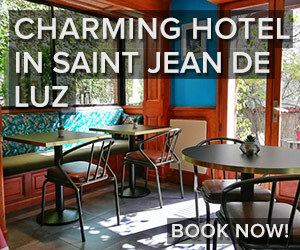 Saint Jean De Luz - Small beach resort that has a gentle bay and a beautiful old town. Good for families with small children. Zarautz - Home to the longest beach in the Spanish Basque Country, known as "the queen of the beaches," and also to famous waves that attract surfers from all over the world. La Rioja is synonymous with Spanish wine and for good reason. Although Spain in general has very good wines, the bulk of the best wines are without a doubt coming from La Rioja. The region is divided into 3 areas: Rioja Alta, Rioja Baja and Rioja Alavesa. Only Rioja Alavesa is located in the Basque Country and most points of interest are located within this region. However, if you are really into wine, it might be worth it to explore the entire region as the wine from the three different parts have their own particular characteristics. La Rioja wines are of the highest quality, which is reflected in continuous ratings of 90+ points from Robert Parker, the world’s leading wine critic. There are literally hundreds and hundreds of bodegas in the region. Some are very traditional and some very modern. Modern examples can be seen at the Ysios Bodega from Santiago Calatrava and the Marques de Riscal Bodega from Frank Gehry. The village of Hondarribia is located on the Basque coast and is situated on the border with France. It is full of perfectly manicured houses with colorful wooden balconies. The architectural features reflect a kind of mixture between Spanish and the French Basque Country characteristics and make it of particular interest. In addition to being a pleasure to explore, it is also home to some of the Basque Country’s best restaurants and is quickly becoming a foodies paradise. 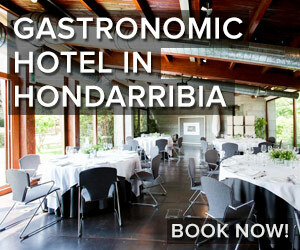 Hondarribia is packed with a huge number of amazing restaurants and bars – some of the very best in the region in fact. If you are into Basque gastronomy, your trip won’t be complete if you don’t visit Hondarribia. The well-preserved Old Town, a relaxing maritime atmosphere and fantastic food are only some of the reasons why Hondarribia is one of our favorite places in the region. San Juan de Gaztelugatxe, whose name means “castle rock” in Basque (“gaztelu” = castle + “aitz” = rock), is a definite “must” if you are visiting the Basque Country. It is an awe-inspiring island located just off the shore along the Bay of Biscay. The views to, from, and around the island are simply beautiful. San Juan de Gaztelugatxe is accessed by a man-made stone bridge. The bridge transitions into a narrow path that contains 241 steps and zigzags its way back and forth to the top. At the highest point of the island there is a tiny church dedicated to John the Baptist. The island also has an intriguing history. Throughout the years it has housed a convent, served as a prison for Basque witches during the Spanish Inquisition, been used as a defensive outpost for the lords of Biscay, and was even ransacked by Sir Francis Drake. Getaria is a charming fishing village that’s wedged between two beautiful beaches and a tiny island and sits adjacent to the green rolling hills of the getariako txakoli wine region. Txakoli is a slightly sparkling, young and fruity white wine that is produced in these unique vineyards overlooking the ocean. Although txakoli has been around for centuries (the first mention of it dates back to 1520), it has just started to become popular in recent years, and not only in the Basque Country but also all over the world. Some of the txakoli bodegas offer tours, while others offer tastings and almost all of them offer direct sale. However, to fully experience txakoli, you must visit one of the many restaurants at the harbor where you can enjoy a bottle with some freshly caught fish that is grilled outside over charcoals. The lovely setting along with great food and wine is one of the reasons we love Getaria so much. But Getaria has more to offer, especially if you are into fashion design. This little town is actually the birthplace of the famous fashion designer Cristóbal Balenciaga. Balenciaga, who was born in 1895, was a true fashion innovator and was respected throughout the fashion world for both his techniques as well as his perfectionism. In 2011, the Balenciaga Museum was opened in the Aldamar Palace and today, proudly displays many of his haute couture creations. The San Fermín festival and the legendary running of the bulls, attracts over a million visitors every year to Pamplona. The festival starts the 6th of July at 12:00 PM with the “txupinazo,” a small firework that is fired from the balcony of the City Hall. During the week of San Fermín, Pamplona is flooded with party-goers from all over the world each donning a white t-shirt and a red handkerchief. The activities and events of the festival consist of concerts, rural sport competitions, Basque dance and music, nightly fireworks shows and much more. However, the most famous event of San Fermín is, without a doubt, the running of the bulls (“encierro” in Spanish). This event, which was immortalized in Ernest Hemingway’s book, “The Sun Also Rises,” takes place every morning at 8:00 AM between the 7th and the 14th of July. Runners are chased by six bulls for approximately 800 meters until they reach the bullring (“plaza de toros” in Spanish). This is a very dangerous activity and while some people train all year preparing for it, others decide to join at the last moment, convinced by the amount of alcohol drank during the night before. This makes the running even more dangerous and unfortunately 15 people have died doing it since 1924. Nevertheless, the running of the bulls is an extremely popular activity and something unique that is worth seeing at least once. Biarritz and Bayonne are separated by a mere 8 km, however, they are two very distinct places of interest. We have grouped them together here because if you visit one, you should definitely take the time and check out the other – you won’t be disappointed. Biarritz is famous for its beaches, therapeutic water and a thriving surf scene. It’s a place where posh restaurants and spas live harmoniously side-by-side with laid-back pizza joints and surf shops. When Empress Eugenia, wife of Napoleon III, built her palatial summer residence next to the sea, Biarritz was forever changed. The small whaling town transformed into a trendy spa and holiday destination for France’s elite. Today the town is full of grand summer houses and has an up-scale feel to it. However, the atmosphere in Biarritz has been balanced off by a laid back surf culture that has deep roots in the area. This interesting contrast forms part of Biarritz’s identity and adds to its charm. Every year, more than one million people descend on Bayonne for what is France’s largest festival, the Fetes de Bayonne. It is reminiscent of the San Fermin festival of Pamplona, where the bull plays an important role in many of the events throughout the week. However, during the rest of the year, Bayonne is a relatively quiet and stress free city. It is a picturesque place with a nice mixture of Basque and French architecture as well as a massive gothic cathedral with a cloister from the 13th century. And if you are into food, then you might also want to check the local chocolatiers and the infamous Bayonne ham. In general, the Basque Country is pretty sparsely populated. Outside of the cities and towns, life still revolves around the Basque farmhouse, known as a baserri. Whether they are tending to a flock of sheep, raising livestock or making cheese, the Basques of the baserris still have a strong connection with the land. It is a land full of natural wonders and thankfully many are protected natural parks. Not only can you experience the beauty of the parks but there is also a good chance you will come across a Basque shepherd with his flock or see some Basque ponies (pottokas). Although there are far too many parks to mention here, we are listing a few of our favorites. Urkiola - This nature park is situated in a mountain rage with the highest point being the Anboto at 1331 m. It is possible to hike to the top of the Anboto and to a few lower peaks. The views are impressive. Urbasa-Andia - The highlight of this park is the Nacedero del Urederra – the birthplace of the Urederra river. A path runs along the river into the forest where pool after pool of clear blue water lead to a waterfall. The water color is simply amazing and even in person, looks surreal. Bardenas Reales - This is one of only a few deserts in Europe and it’s definitely the most impressive of them all. There are several unique geological formations and some lovely landscapes. Explore the park by car or get in a little deeper by hiking or riding a bike on one of the many paths. Le Petit Train de la Rhune in Sare - This quaint train has been operating for more than 90 years and takes visitors 905 meters up the Rhune Mountain to get a 360° view of the Basque Country and the Atlantic Ocean. Great for those who want the views without having to hike. Ruta del Flysch - If you are into long all-day hikes, then you shouldn’t miss the Ruta del Flysch. This path goes along the coast between the towns of Deba and Zumaia and offers amazing vistas of the coastal flysch rock formations. This is the most beautiful hike of the entire Basque Country in our opinion. Food and wine are at the center of life in the Basque Country. Whether it is the wealthy or the working-class, it can be said that cooking is in their blood. It’s possible to find good food all over the Basque Country. However, San Sebastian and Hondarribia are probably the two places with the highest concentration of quality establishments. If you are interested in visiting a Michelin starred restaurant, be sure to check out our Michelin page that contains all of the Michelin restaurants located within the Basque Country. The Basque Country has its own unique food culture that revolves around the bar. Pintxos (bite-sized appetizers, similar to tapas) can be found in nearly every bar. Often the bar counter will be filled with plates of all different varieties. They range from being rather traditional to very experimental in nature. It is typical to find the locals out enjoying a drink while sampling different pintxos and then going on to the next bar to do the same thing all over. This is sometimes done before a meal as a kind of aperitif or it can take the place of a normal meal. 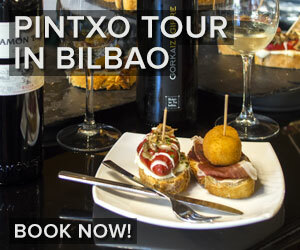 In addition, every city and town has yearly competitions for the best pintxos and the winning trophies are proudly displayed within the bars. The Sagardotegi (sidrería in Spanish), is another special Basque tradition. It is a type of cider house that is found within the Basque countryside. These restaurants serve a traditional set menu with their highlight being the enormous txuleton steak. This mouth-watering slab of un-adulterated beefy goodness weighs in at around one kilo and like the other plates are shared by those at the table. The other highlight of the sidrería is the endless supply of cider from giant wooden barrels (kupelas in Basque). The sidrería is a great chance to experience something uniquely Basque and eat like a king. We have hand selected a few of our favorite hotels in the Basque Country. 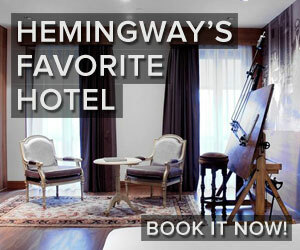 However, be sure to use the hotel search engine below to get the complete listing. This stylish and luxurious hotel offers exclusive rooms with views to the valley and the surrounding vineyards. There are 2 restaurants at the hotel, one of them has a Michelin star. The hotel also features a spa with indoor swimming pool, hammam, gym as well as massage and wine therapy services. There are also various terraces and a library. 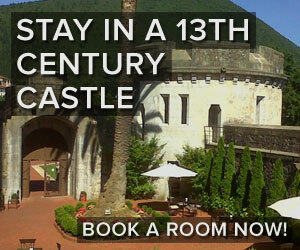 Beautiful restored palace from the 17th century located among beautiful green hills and 30 km away from the coast. Its interior design keeps the perfect balance between old and new – modern touches contrast with the original elements of the building. The rooms are carefully designed and feature a plasma TV and free WiFi. 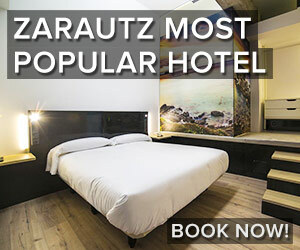 Located directly on Biarritz's Miramar Beach, this luxury 5-star hotel has 2 large pools, a spa and fitness centre with hammam, hot tub and massage treatments plus a michelin star restaurant. It is one of the finest palace hotels of Europe. 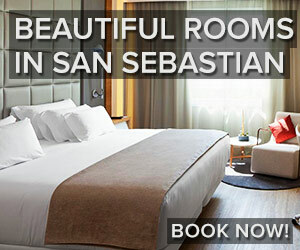 This 5 star hotel is a symbol of San Sebastian. Located right next to the Victoria Eugenia Theater, it has seen a lot of hollywood starts as guests, such as Woody Allen, Elizabeth Taylor and Brad Pitt. 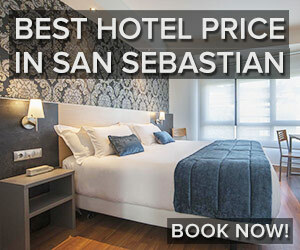 The hotel is an elegant building from 1912 with views to the Cantabrian Sea and the Urumea River. Its classical interior decoration in Belle Époque style feature some original columns, lamps and brocades. The Basques have an intriguing past shrouded in mystery. The second half of the 20th century saw much political unrest, but thankfully, this has come to an end. No one is exactly sure where the Basque people come from. The people along with the language seem to have been around since long before indo-european speakers arrived. Basque speakers lived predominately in Aquitaine which extended through the Pyrenean Mountains and north along the French coast. The area changed hands many times through history and eventually, in the Middle Ages, the Kingdom of Castile gained control over what is today the Spanish Basque Country. Navarre became its own Kingdom and the French Basque Country was absorbed by France. Basque Fueros (set of laws similar to a constitution) were established between the Basque regions and their respective kings and allowed for them to function as an autonomous community. These fueros were used as the rule of law until after the Second Carlist War in 1876 when they were stripped away. This action was the catalyst that started a movement towards nationalism. After enjoying hundreds of years of autonomous rule, the Basques were now being oppressed and starting to lose aspects of their culture and identity. In response to this, Sabino Arana, who is considered to be the father of Basque nationalism, created the Basque National Party (PNV) and started a cultural renaissance. Everything that was considered Basque was celebrated. Arana also designed the Basque flag, called the Ikurrina, which can still be found in use throughout the Basque Country. The nationalist movement gained most of its momentum following the Spanish Civil War (1936 - 1939). The dictator Francisco Franco took control of Spain and the Basques suffered greatly under his heavy hand. In his quest to create a unified Spain, languages and customs not considered to be Spanish were prohibited. This also included the use of the Ikurrina. However, the flag was often placed in public places and became a symbol of defiance. Franco created an obvious backlash by trying to destroy the Basque culture and that helped give roots to the nationalist movement. In 1959, a new chapter of Basque history began with the formation of ETA (Euskadi Ta Askatasuna – "Basque Homeland and Freedom"). The group started by promoting Basque culture but later developed into a paramilitary group whose goal was to have an independent Basque Country. Some of ETA’s first attacks were generally approved of by Spanish and Basque societies who saw them as part of the fight to put an end to Franco’s regime. They were responsible for the assassination of the Spain’s Prime Minister and successor to Franco, Luis Carrero Blanco. Many consider Carrero Blanco’s death as an important step in the establishment of Spain’s democracy. ETA subsequently continued their fight for independence for more than 50 years in what has been referred to as “Europe’s longest war.” The conflict resulted in the deaths of more than 1,000 people. In 2011, ETA announced a “definitive cessation of its armed activity.” It seems now that this chapter of Basque history has finally come to an end. If you are interested in finding out more about the region's turbulent past, we recommend the documentary, Basque Ball. It takes neutral position and does a good job of explaining a complicated history. Euskara is an ancient language that has defied all odds to survive. It has seen some tough times in the 20th century but is now making a comeback. Euskara, the language of the Basques, is the last remaining descendent of the pre-indo-european languages. Throughout time the area containing Basque speakers continued to shrink, but as luck would have it, never completely disappeared. Since it is the last survivor of its language family, it is considered a language isolate, meaning that it doesn’t have any relationship with any other language. Euskara suffered greatly during the dictatorship of Francisco Franco (1939 - 1975) since it was prohibited. By the time Franco died, the language was in steep decline. In an attempt to save it, the Basque Language Academy (Euskaltzaindia) took the various Basque dialects and combined them, forming a standardized Basque language called Batua. Batua was introduced into the education system and it is now common for children to take either some class or all of them in Basque. This along with newspapers, magazines and a TV station have helped the language rebound. Today, one of the most significant criteria for being Euskaldun (Basque) is the ability to speak the language. There are only 715,000 native Basque speakers who are very proud of their language. They don’t expect visitors to be able to speak a word. So you can image how impressed a local would be if you, a foreigner, said anything to them in Basque. This is the easiest way to make friends in Euskal Herria. For this reason we have compiled a list of words and expressions to aid you in your journey. The climate in the Basque Country is mild with clearly defined seasons. For the most part, it doesn’t get extremely cold in winter and summer is comfortable. The weather in the Basque coast is quite moderate due to the ocean breeze. Some areas on the coast are more susceptible to rain. The interior has temperatures that are slightly more extreme. Usually a few degrees hotter in the summer and a few degrees colder in the winter. The wine region of La Rioja Alavesa has a microclimate and in the summer is almost always sunny. Summers are warm, but not incredibly hot like the south of Spain for example. It is not unusual though for temperatures to reach 30ºC (86ºF). Get in by plane, car, bus, train or even boat. The Basque Country has a great transportation infrastructure and will make your trip worry-free. Bilbao: Loiu airport is the largest in Basque Country. There are cheap flights with Easyjet and Vueling to London and with Vueling to Barcelona and Malaga. There are many connections to other European cities with other companies such as Iberia, Lufthansa, Air Berlin, Bruxelles Airlines. San Sebastián-Donostia: Hondarribia Airport has flights to/from Barcelona & Madrid. Biarritz: Flights with Ryanair from Dublin, London (Stansted), Shannon (Ireland) and Frankfurt, and with Sterling Airlines from Oslo and Copenhagen. Madrid: It is possible to catch a flight to Madrid and then take a bus or a train to the Basque Country. Direct buses run approximately every hour and take about 4 - 5 hours. Daily connections are offered to main cities from Paris, Madrid and Barcelona. You can also travel within the Basque Country with the scenic routes of the EuskoTren network. The main drawback to EuskoTren is that is takes about twice as long as the same trip by car. Both Spain and France have extensive bus infrastructure and this is one of the easiest and most comfortable ways to travel. You can always find connections between cities and most larger towns. However, access to more remote villages may be limited as would be expected. Below is a list of the largest bus companies. A rental car is really great to have in the Basque Country. It makes for access to some parts of the region such as San Juan de Gaztelugatxe and to the sagardotegis (traditional Basque cider restaurants in the countryside) much easier. Driving along the coast and through the Basque interior is beautiful. 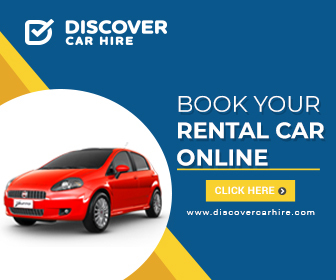 If you do rent a car, we recommend not staying on the highway the whole time and driving through the country side as it is very rewarding and you get to see a part of Basque life that you would otherwise not be able to. Some of the highways are also toll roads in the Basque Country. The most expensive one is between Vitoria and San Sebastian and costs around 12 €. If you take the alternative free route, it takes about 20 minutes longer, but is much more scenic.